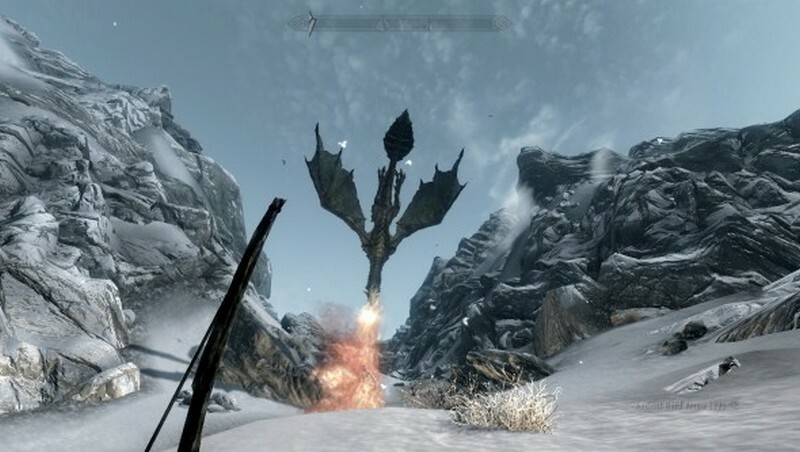 5 Reasons: Why Skyrim is Best RPG of all TIME? The Elder Scrolls: Skyrim, fifth installment in the Elder Scrolls universe, is vying for the title of Best Game of the Year. Many already consider it the winner despite numerous other big titles that have come out not only this year but even having been released the same week as Elder Scrolls: Skyrim. There’s steep competition all around from FPS games Battlefield 3 and Call of Duty: Modern Warefare 3 to RPG Deus Ex: Human Revolution and everything in between, not to mention that there’s still nearly a month and a half before 2011 is officially over and all 2011 titles have been released. But there are great reasons for this early, high praise of Skyrim over all other games. 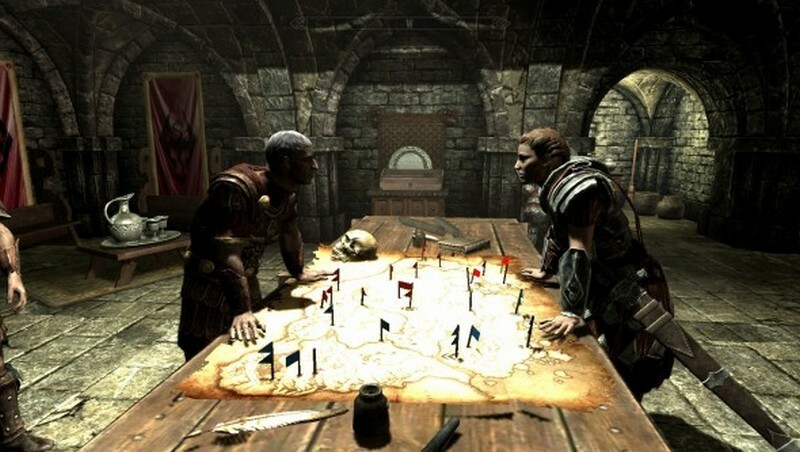 The Elder Scrolls have led us to expect a certain amount of innovation in gameplay and excellence of story line and character background. Morrowind astounded us, leaving us begging for a sequel game which Bethseda readily agreed to. Soon we had Oblivion, another fantastic game set in the same world of Tamriel, that followed the path of excellence set by Morrowind and raised the bar several notches, providing an example of what games could and should be. Now Skyrim has done the same thing as its predecessors, raising the bar once again in all aspects of gameplay. Graphics are near realistic, bringing the wondrous beauty and magic of Tamriel to new heights not just in the Elder Scrolls world or Bethseda studios but to the gaming world at large. The story is rich, more epic, in depth and engaging than ever before. Gameplay has also evolved with fighting and spell casting more realistic than ever. Character creation has also be added upon and improved. Elder Scrolls usually very diversified and customizable character creation system now has even more option to choose from in order to make your character truly your own, as well as improved graphics that bring each race to light. But that’s just scratching the surface. Let’s take a more in depth look at some of these features that are sure to put Skyrim at the top of Best Games lists this year. 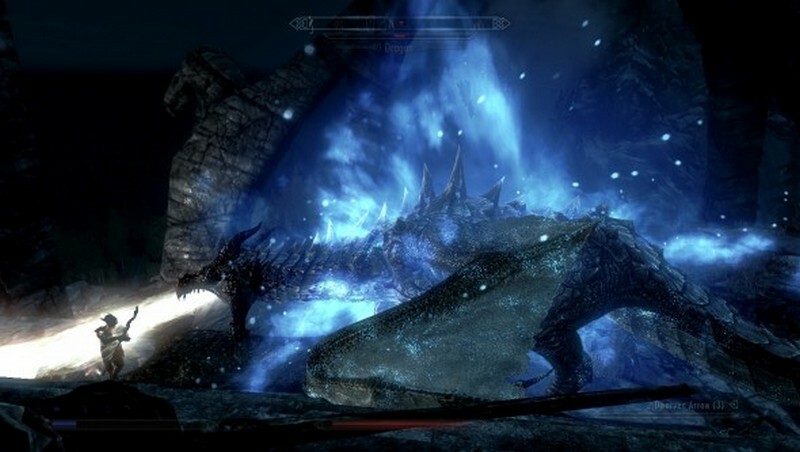 Gameplay screens from Skyrim show nothing less than expected from the trailers that have been released in the months prior to the release of the game itself. Once again Elder Scrolls is far ahead of its time in the graphics factor. The game doesn’t just look realistic; it looks real – something more akin to a movie than a game of any sort – making the game more immersive and closer to the top of the best games lists by this one factor alone. The wilderness and magical beauty are near lifelike. Monsters are doubly frightening, no longer something that we can tell we are supposed to be afraid of but monster than can easily creep into our dreams when we aren’t watching, hunting us even within the real world. Mountaintop vistas are more gorgeous than ever, their beauty unrivaled by any previous game whether Oblivion or a more contemporary title also prized for its graphics. Graphics make all the world of difference, but it isn’t only the world and creatures within it that make Skyrim so much more immersive than many other titles. The character, whether NPCs or playable characters are what players interact with the most and should, but so very often don’t, get the maximum amount of time and effort put in by the creators as they deserve. Bethseda has done this for us though with Elder Scrolls signature character creation better than ever. The realism of the game doesn’t just touch on this but evolves it. The human races no longer look relatively the same. Each one now has distinct characteristics and features which denote them from other human races at first glance. The non-human races of Elder Scrolls are each more unique, graceful and beautiful than they ever have been. The animalistic features no longer look like an animal face placed upon a human body, but those of a majestic and graceful race that players will itch to jump into. It is the players own character that can make or break how engaging a game can be. Especially in RPGs, your character is an extension of yourself, someone that you will spend a vast amount of time with. It is the little details that always make the biggest difference in gameplay. Powerful attacks with a sword or dagger can be felt by the player, especially in first person point of view, which can rattle your character. Bow twangs can be heard and seen as bows move in a much more realistic fashion. It is the spells that really leave a lasting mark, however. Spells now leave a more lasting mark. Fireballs, always a personal favorite, don’t only turn your intended target in ashes, but also affect the surrounding area. Earth, trees and anything else nearby will get scorched by your flames. Perhaps the most beloved part of all the Elder Scrolls games is the storyline. It is this that keeps us coming back to the previous games for just one more run through. Skyrim picks up where Oblivion leaves off, just as Oblivion did with Morrowind. The events of the previous game are felt, not always in big ways, of course, but enough. It is an entirely new section of Tamriel that we have to explore this time. Adventure abounds both as main quest line and in the form of side quests. The open world format also provides you with endless opportunity for adventure and discovery and indeed this is another favorite aspect of the game that puts it ahead of so many others. The nooks and crannies of the world are full of the magic and adventure that we all seek within the Elder Scrolls. Skyrim is a game built upon the legacy of past top RPGs but has topped all of them. The concerns of the players weren’t just addressed but taken to heart. Gameplay and story haven’t just been updated but revolutionized. Skyrim deserves to be called Best Game simply because, hands down, it is.